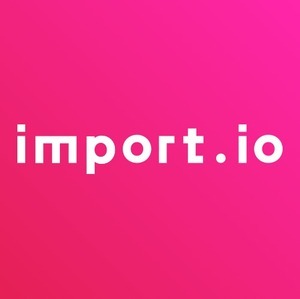 import.io is a free web-based platform that puts the power of the machine readable web in your hands. Using our tools you can create an API or crawl an entire website in a fraction of the time of traditional methods, no coding required. Our highly efficient and scalable platform allows you to process 1,000s of queries at once and get real-time data in any format you choose. We also offer an easy to use client library to make exporting, integrating and using your data as simple as extracting it. We also offer a bespoke, affordable data solution for organizations who want us to provide them with live data directly. Import Data brings you live data direct from the source, giving you actionable information in real-time. Live data allows you to react more quickly and efficiently to situations saving you time and money. import.io was featured in a VatorNews article: "Funding Roundup - week ending 9/5/14 "